Look through the lens of the African American experience while musing on themes of opportunity, empowerment, creativity, and innovation at the Houston Museum of African American Culture. Located in the heart of the Museum District, HMAAC seeks to engage visitors of every race and background through discovery-driven learning and the preservation of African American history. 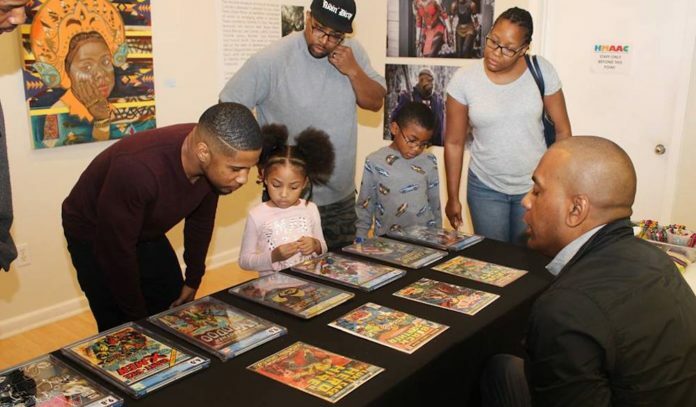 Through art openings, film screenings, tours, and educational programs, the museum exhibits materials and intellectual culture of Africans and African Americans in Houston, the state of Texas, the southwest, and the African Diaspora for both current and future generations. While the focus of the museum is the African American experience, their story has been impacted by and has impacted not only people of color but people of all races, genders, and ethnicities. Click here for a list of upcoming exhibitions, programs, and events. Hours: Wednesday, Friday, and Saturday 11am to 6pm; Thursday 11am to 8pm; closed Sunday to Tuesday. Admission: No cover. Click here to book a 45 to 90-minute guided tour.